In compliance with the client's requirements, we are engaged in manufacturing, trading and supplying a wide range of Office Executive Furniture. Prelam board knockdown modular hardware. 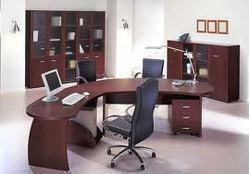 International class wooden laminated finish.